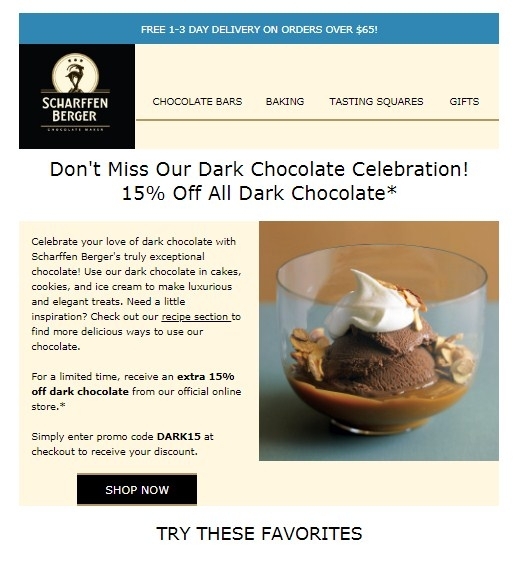 Marc Evans 15% Off All Dark Chocolate at Scharffen Berger. Tested this promo code and verified that it works as described. Use promotional code: DARK15.